As an avid reader. there several books I have been meaning to review. Hopefully over the next few weeks I can get them all done. This first one is special to me because I actually know Eugenea Couture. 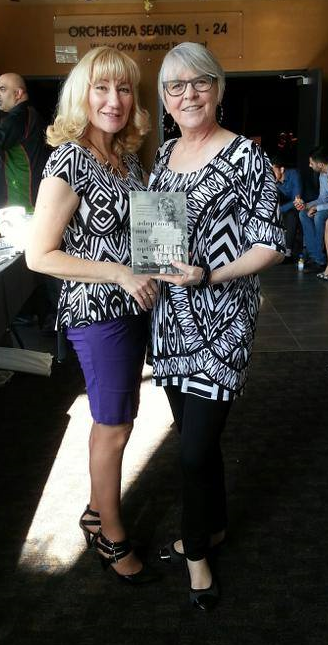 She is a fellow Vancouver author also signed with Influence Publishing. I was honoured when she attended my book launch in support and it's an honour to support her in return by sharing her story here. Before I begin - I want to be clear that I know some amazing foster parents. The story told here is not a reflection on their commitment. Unfortunately not all foster parents are as committed to the children's welfare or have the needed parenting skills. A bad placement can affect a child their whole life. The book opens with Couture's grandmother, whose five children were ripped from her arms and scattered to the wind by her abusive husband. A few of the relatives the father hid the children with ended up being horrible choices. There was some unimaginable abuse. This generational journey continues when the author's mother has her children taken away by social services one night after a snow storm kept her from returning as planned. The babysitter's mother reported her. Couture and her siblings first ended up in an institution with only supervised visits, and then were placed in separate foster homes and not allowed any contact with each other or their mother. It would be forty years before they were all reunited. 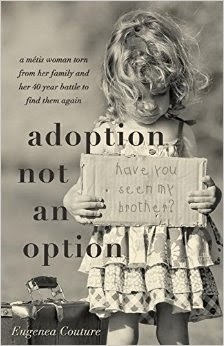 Adoption Not an Option is hard book to read in the beginning as the abuse and mistreatment of both her mother and herself are mind boggling. How can anyone treat a child this way? And the decision by Social Services to remove these children without any recourse and completely sever all family ties is very hard to understand. Then there is the deep sorrow and shame felt by both mothers. search, locate, and reunite when all hope seems lost." Adoption Not an Option is available online in Canada at Amazon.ca and Chapters/Indigo, and in the U.S. at Amazon.com and Barnes and Noble. For more information or to contact the author, please visit her website at www.eugeneacouture.com.